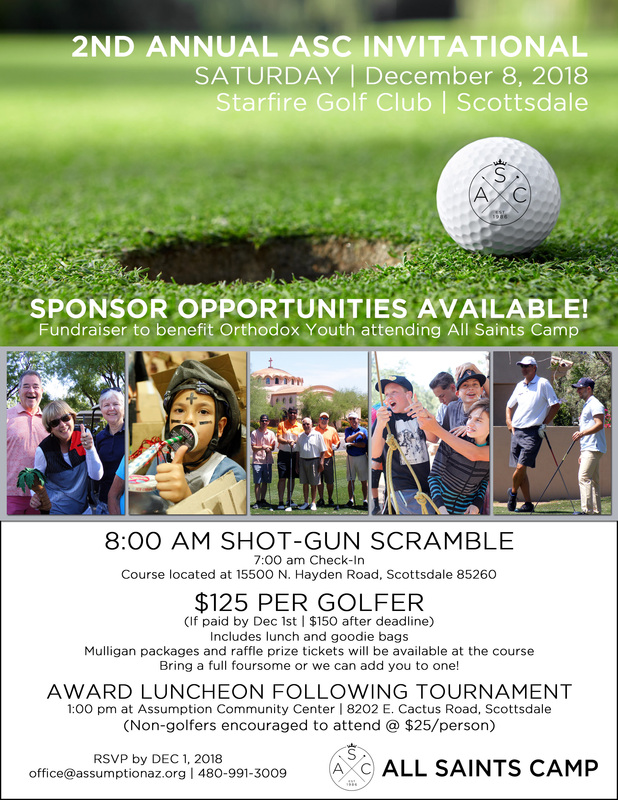 To help support our Orthodox summer camp ministry, Assumption Church will be hosting the Second Annual ASC Invitational at Starfire Golf Club, Saturday, December 8! Check-in is at 7 am, and the Shot-Gun Scramble will start at 8 am. Registration is $125 before December 1, or $150 after the date. A luncheon and raffle is included at 1 pm (to attend the luncheon and raffle only, the cost is $25). Sponsor opportunities are also available! Click here to sign up!